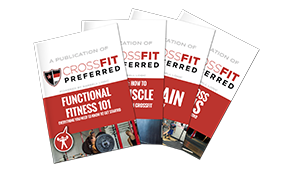 CrossFit Preferred | March 2019 & First Quarter Committed Club – Who Made The Cut?! March 2019 & First Quarter Committed Club – Who Made The Cut?! First Quarter Raffle Winner is Rusty Cooper! March 2019 Monthly Raffle Winner is Kristi Preston! Rusty your 1/2 month credit will be applied in Wodify! Kristi Your $50 retail credit will be applied in Wodify! Congratulations to the 17 hard working members who are ON TRACK for the first quarter and 2019!. These are the members who made it in over 15 times in January, February and March and are on track for the quarterly and yearly Committed Club! Did you make the cut for the first quarter?! Did you make the cut in March? Members who hit 14 times in March! You can make it this month!